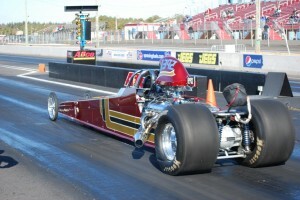 A year after attending her Hawley class, Edwards purchased a dragster and a trailer. 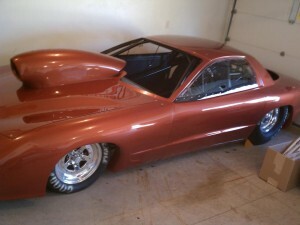 Her dragster is set up with a 555ci BBC and making 927HP on the dyno, is equipped to run Super Comp and Top Dragster. 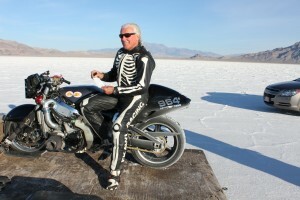 Since attending his Pro Stock Motorcycle class, Shoemaker has set an additional Land Speed Record at the Bonneville Salt Flats as well as being inducted into the Bonneville 200 MPH Club. In 2011, he teamed up with Bill Warner, who is currently the fastest in the world on a sit on Motorcycle (non-streamliner) at 311 MPH. Since then, Shoemaker has become the second fastest in the world at 269 MPH and accomplished the feat at the Mojave Mile in October 2011. 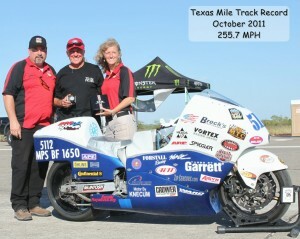 He also set the track record at the Texas Mile in October 2011, at 255 MPH. We know many of our graduates have gone on to purchase cars, build cars, rebuild cars or already have cars and are out there racing them. We’d like to include you in our next Grad Spotlight! Email us and let us know what your plans are for the season ahead.